The 2014 Formula One season is finally underway and although the new cars may be considered too quiet by some, they certainly made the drivers work their socks off to keep them on track. Some left Melbourne happier than others and the second TCF Form Guide of the new season looks at the challenges facing all 22 drivers ahead of the year’s hottest race. Nico Rosberg was in a class of his own in the Australian Grand Prix and while there may be questions over how he would’ve fared against Lewis Hamilton in a healthy Mercedes, the fact of the matter is that he has 25 points on the board and the championship lead. The decision on the pit wall that prevented him going for a podium left Nico rather irritated leaving Malaysia last year but with Mercedes promising to let their guys race this time, Rosberg will have the green light to attack Hamilton if they are disputing victory on Sunday. You would fully expect that to be the case. Most Formula One fans will have been well aware of him already but now the whole world knows who Kevin Magnussen is after his exploits in Melbourne. The Dane coped admirably with the treacherous conditions to take fourth in qualifying and showed remarkable composure and maturity to run third throughout the race with Daniel Ricciardo’s disqualification promoting him to second. Kevin already comes across as a cool character under pressure but the sweltering heat and humidity of Sepang will ask an entirely different question of him. Melbourne was an emotionally charged weekend for Jenson Button following the loss of his father during the winter but typically, the Briton carried himself like a champion. Although he couldn’t claim a fourth Albert Park victory, Jenson did achieve his 50th podium finish once Daniel Ricciardo had been excluded and with McLaren predicting a sizeable leap forward in performance in Malaysia, Button may stand on the rostrum again ten years after doing so for the first time here. The questions surrounding Ferrari’s true level of competitiveness were answered in Melbourne and Fernando Alonso didn’t exactly get the outcome he was hoping for. Ferrari were no match for Mercedes on outright pace and although the Spaniard’s race was spoiled by traffic and electrical problems, fourth wasn’t the result he would have been hoping for or expecting. With title rivals Lewis Hamilton and Sebastian Vettel not scoring, he does at least have twelve points on the board though and Alonso will be keen to ensure he remains ahead of them leaving Sepang. Few drivers had a more entertaining Sunday afternoon in Australia than Valtteri Bottas. The Finn was in a feisty mood after a gearbox change relegated him down the grid but Valtteri ensured he’d have to overtake the midfield runners for a second time by clipping the wall and puncturing his right rear tyre. Given his efforts, fifth was just reward but the Williams driver will be keen to see where his team stands in a dry qualifying session and race from a little further forward this time. Many paddock observers expected Force India to have a strong package when they arrived in Australia and in the hands of Nico Hulkenberg, the VJM07 delivered. The German ran in fourth for much of the race only to be jumped in the second round of pit stops by Jenson Button and Fernando Alonso but sixth was still a solid result. Force India have their eyes on podiums though so an improvement in terms of race pace is probably necessary. They wouldn’t be too disappointed if it rains either and there’s a fair chance of that. Kimi Raikkonen’s first weekend back in the red of Ferrari must go down as one of the disappointments of the Australian Grand Prix weekend. The 2007 world champion did have reliability problems during the weekend but in truth, he was never on Fernando Alonso’s pace and mistakes during the race itself contributed to him only finishing seventh. One thing’s for sure though, Kimi can’t be written off and will surely get on terms with his teammate during the year but his difficulties adapting to the 2014 style of driving must be a concern. At the beginning of big year in his Formula One career, Jean-Eric Vergne made an ideal start in Melbourne. The Frenchman has already established himself as one of the sport’s finest wet weather drivers and proved it again in qualifying, putting his Toro Rosso on the third row. Given the pre-season troubles for all four Renault powered teams, Jean-Eric was delighted first to finish but also to do so in a points position and ‘more of the same’ will be his request for the Malaysia weekend. Most of the headlines were saved for Kevin Magnussen but the performance of fellow rookie Daniil Kvyat was seriously impressive. The Russian teenager didn’t have the smoothest preparation but was on the pace as soon as he took to the track in Melbourne and claimed the scalps of three world champions in Q2. Kvyat showed he could compete in the dry too by finishing ninth and kept teammate Vergne in sight too whike he was it. A strong showing in Malaysia will send his already high stock soaring still further. It’s fair to say Sergio Perez had a little pressure on his shoulders partnering Nico Hulkenberg at Force India and round one certainly went in favour of the German. Perez was comfortably outqualified although in his defence, he never had the opportunity to show what he could do in the race once Esteban Gutierrez had given him a puncture on lap one. ‘Checo’ will be keen for a clean weekend to truly show his worth and if he needs a confidence boost, he should look no further than his near-victory here in 2012. Sauber hadn’t set any inspiring lap times in pre-season testing and their lack of competitiveness was confirmed in Melbourne. Adrian Sutil was on the fringes of the top ten throughout but the C33 was nowhere near quick enough to keep up with the cars ahead, leaving him eleventh at the finish. Sutil arguably produced one of his finest drives to hold off Lewis Hamilton for fifth in 2010 so he has form here but the German is probably going to have to rely on attrition to score his first points of 2014 here. The time for labeling any incidents as ‘rookie mistakes’ has passed for Esteban Gutierrez but there were one or two recurring themes from the Mexican’s first season in Melbourne. Firstly, he was knocked out in Q1 which could possibly be blamed on the weather but a collision with compatriot Sergio Perez certainly couldn’t. Being beaten by his new teammate won’t have done his reputation any good either so Gutierrez is in need of an improved performance at Sepang. We shouldn’t read too much from a single race but there were definite signs of progress from Max Chilton in Melbourne. The Briton backed up his impressive Bahrain testing form by outqualifying Jules Bianchi and despite being left on the dummy grid, Chilton maintained his 100% finishing record in Formula One to come home thirteenth. The catalogue of breakdowns and reliability problems didn’t quite come, meaning Max missed out on points but with temperatures much higher in Malaysia, his opportunity may come here. Jules Bianchi’s Australian Grand Prix never got going really after an engine problem similar to his teammate’s prevented him from getting away, turning his race into a well-publicised test session. The Frenchman will be praying for reliability above anything else in Malaysia given the fact he finished thirteenth here last season, the result which eventually proved enough to hand Marussia tenth place in the Constructors Championship ahead of Caterham. Romain Grosjean is one of the drivers you can usually rely on for a smile but laughs were in short supply for the Frenchman in Australia. Lotus arrived at Albert Park woefully under-prepared and a suspension failure in practice was a prime example of an issue that would’ve been ironed out with more testing mileage. The frustration boiled over on occasions but Lotus will be relying on Grosjean to keep his cool and lead the team. Finishing the race on Sunday would be the first step on the road to recovery. It’s difficult to find any positives for Lotus from the Australian Grand Prix weekend but Pastor Maldonado was keen to put a positive spin on his debut with the team. The E22 did at least complete more laps than it had managed in pre-season but the Venezuelan still only managed half distance before his car failed him. Combine that with a record at Sepang which doesn’t boast a single finish and hopes aren’t high for Pastor this weekend either. Qualifying will be interesting though to see just how quick the E22 really is. Marcus Ericsson won’t have accounted for anywhere near as many column inches after Australia when compared to his fellow rookies but the Swede made a solid start to life in the big league. The GP2 graduate overtook Adrian Sutil early on and was on target to finish ahead of Max Chilton before an oil pressure problem intervened. We perhaps don’t truly know how well Marcus did given the fact his teammate failed to complete a lap so it will be interesting to compare the performance of the two in the heat of Malaysia. Sebastian Vettel’s title defence couldn’t have got off to a worse start with a lack of power preventing him for reaching Q3 before more issues halted him in the race. Sebastian’s conduct here a year ago had everyone talking and he has already created headlines with his comments this weekend but now is surely the time to get his head down and start putting some points on the board, even if he isn’t particularly impressed with the sound of the car underneath him. If anyone deserved better from the Australian Grand Prix, that man would have to be Lewis Hamilton. The Briton was sensational in qualifying to claim pole position but unfortunately his weekend ended just as it had started with his Mercedes breaking down. Lewis will have at least taken solace from the fact his car was comfortably the quickest on the circuit but he will surely want to start racking up the points in order to prevent his teammate building up too big a lead. One question still unanswered after the Australian Grand Prix is just how quick the new Williams is in the hands of Felipe Massa. The Brazilian couldn’t do better than ninth in the rain-affected qualifying session and unfortunately that put him right in the firing line when Kamui Kobayashi couldn’t slow his Caterham down for turn one. 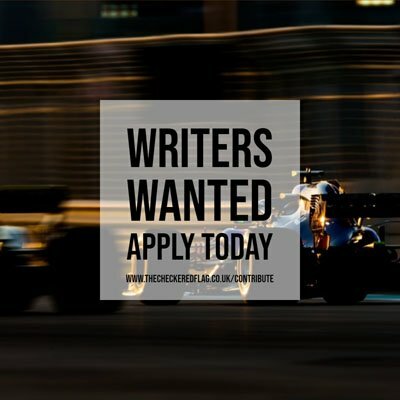 Felipe’s Sepang record suggests he’s likely to finish fifth (he did that four times while with Ferrari) and Williams will be looking for that sort of result from their experienced driver this weekend too. The opening race of 2014 was barely five seconds old and already we caught sight of Kamui Kobayashi in a first corner pile-up. In Kamui’s defence, a problem with his rear brakes contributed to his collision with Felipe Massa and it was a disastrous twist of fate given Kamui’s stunning qualifying performance. It also denied us the chance to see just how Caterham and Marussia shaped up against each other in race trim and Kobayashi will look to show just how strong the green machine is at Sepang. Rules are rules and no set of sporting stewards should ever seek to be popular when they make decisions but it’s impossible to feel anything but sympathy for Daniel Ricciardo who had second place ripped from his hands when his car was disqualified. The Australian has to make sure he takes the positives from his home weekend though, having had the edge on his teammate in qualifying, and Malaysia will be his chance to show that he can do the same without home field advantage.